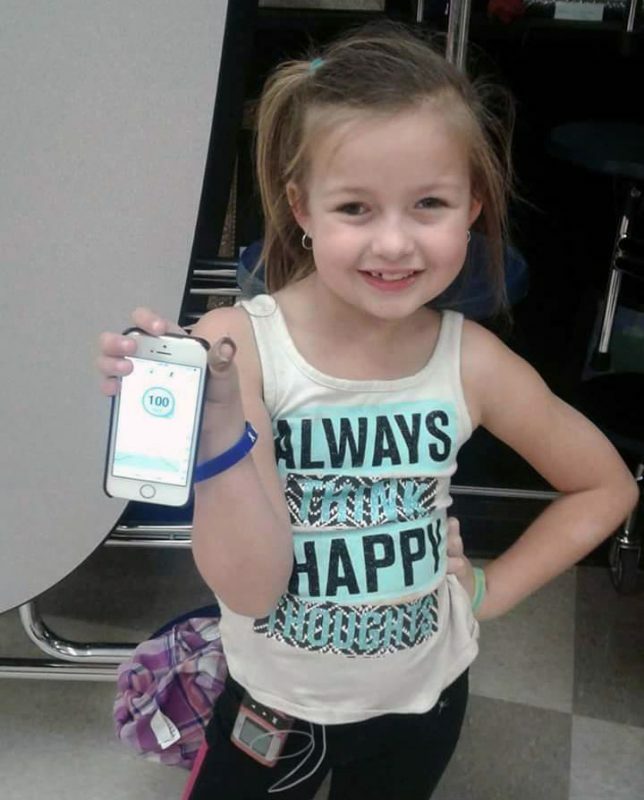 My daughter Zoe Ruby is a “T1D Warrior.” She was diagnosed with Type 1 Diabetes (T1D) at 5 years old in July 2014. She had the warning signs, which, thankfully I knew as her father is also a type 1 diabetic. She cried that she was always thirsty, and she was always using the bathroom. She was lethargic and just laid around – I knew something wasn’t right. They called Akron Children’s, did some tests, and we were soon in an ambulance headed north. It was the scariest ride—emotions were high, as she just laid there asking what was wrong. It didn’t take long. We had a room waiting and a great staff. Dr. Bradley (Van Sickle) came and went over everything. We had a whirlwind of training and learning: how to draw insulin, how to inject it, how to check blood sugar levels, and how to count carbs to figure out how much insulin was needed. 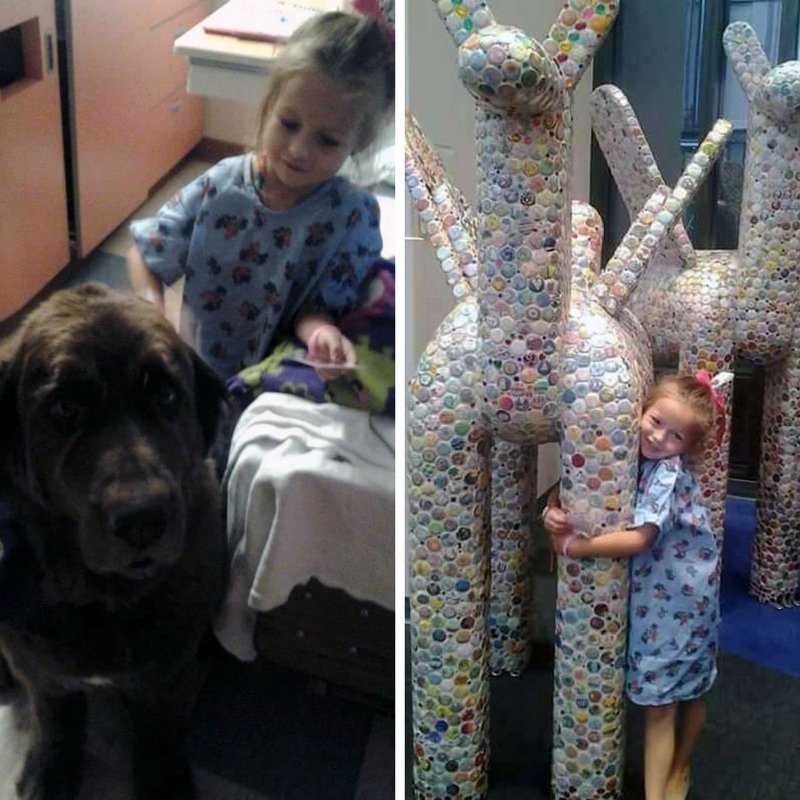 The Doggie Brigade and colorful animal sculptures in the lobby were pleasant distractions for Zoe during her hospital stay. We were able to go home a day or 2 after, but we still needed to return in a few days for even more training. You have to be very cautious counting carbs and insulin ratios. The very drug that saves us could easily take life away if the wrong amounts are given. This was all one month before she started kindergarten—like sending your first born off to school isn’t scary enough? I was a nervous wreck trying to make sure I was fully informed about it as I could be and passing it all on to the school. The nurse educated our staff and continues to. 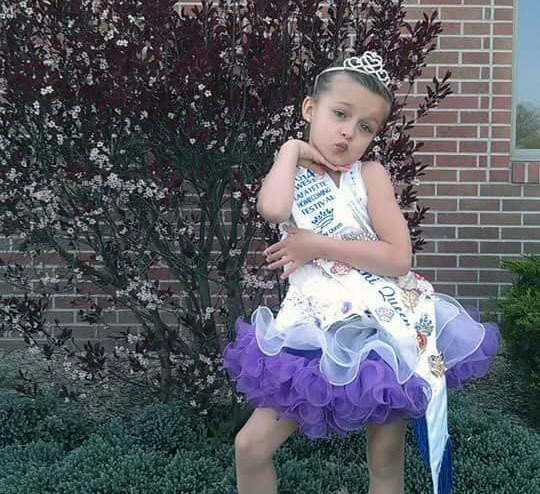 Despite it being a busy time in her life, Zoe won her town’s Mini Queen Contest the day after she was released from the hospital. She’s a dancer and loves to swim, too. Now, Miss Zoe is in 3rd grade. She has an insulin pump and a CGM (continuous glucose monitor), which reads her blood sugar every 5 minutes. It’s a life saver and peace of mind to catch lows and highs when my daughter doesn’t feel them. 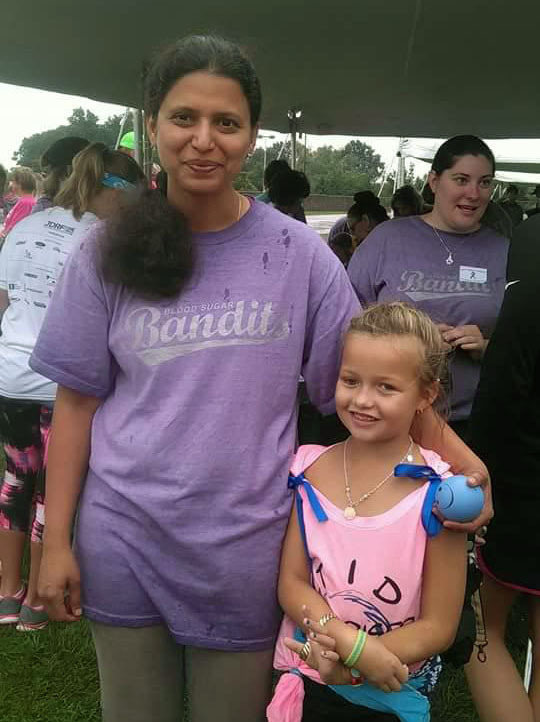 Dr. (Mamatha) Kambalapalli with Zoe at the JDRF walk. I’m so proud of all she has overcome and handles at such a small age. She’s a T1D Warrior who is not afraid to educate anyone she meets. She proves you can lead a perfectly normal life and do anything you want even with Type 1 Diabetes!